Oxford University Press, USA, 9780199350254, 304pp. Given the advanced state of digital technology and social media, one would think that the Democratic and Republican Parties would be reasonably well-matched in terms of their technology uptake and sophistication. But as past presidential campaigns have shown, this is not the case. So what explains this odd disparity? Political scientists have shown that Republicans effectively used the strategy of party building and networking to gain campaign and electoral advantage throughout the twentieth century. 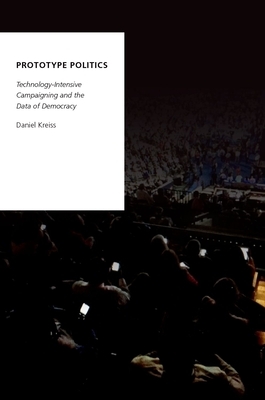 In Prototype Politics, Daniel Kreiss argues that contemporary campaigning has entered a new technology-intensive era that the Democratic Party has engaged to not only gain traction against the Republicans, but to shape the new electoral context and define what electoral participation means in the twenty-first century. Prototype Politics provides an analytical framework for understanding why and how campaigns are newly "technology-intensive," and why digital media, data, and analytics are at the forefront of contemporary electoral dynamics. The book discusses the importance of infrastructure, the contexts within which technological innovation happens, and how the collective making of prototypes shapes parties and their technological futures. Drawing on an analysis of the careers of 629 presidential campaign staffers from 2004-2012, as well as interviews with party elites on both sides of the aisle, Prototype Politics details how and why the Democrats invested more in technology, were able to attract staffers with specialized expertise to work in electoral politics, and founded an array of firms to diffuse technological innovations down ballot and across election cycles. Taken together, this book shows how the differences between the major party campaigns on display in 2012 were shaped by their institutional histories since 2004, as well as that of their extended network of allied organizations. In the process, this book argues that scholars need to understand how technological development around politics happens in time and how the dynamics on display during presidential cycles are the outcome of longer processes. Daniel Kreiss is Associate Professor in the School of Media and Journalism at the University of North Carolina at Chapel Hill and an affiliated fellow of the Information Society Project at Yale Law School.